Standard & Poor's on Wednesday raised Turkey's sovereign credit rating from BB to BB+. Just few months ago the same rating agency had refused to follow its competitor Fitch, which had upgraded Turkey to investment level, noting the ongoing rebalancing process at the time. “Rebalancing,” according to economists means a decreasing current account deficit while net exports (higher increase of exports than imports) are contributing positively to economic growth. Indeed, this was the case in 2012. Although the growth rate declined to under 3 percent , it remained positive, while the share of the current account deficit in gross domestic product (GDP) shrank from a dangerous level of 10 percent to just below 6 percent according to the most recent estimates. Fitch had considered this evolution quite enough for upgrading Turkey, while S&P preferred to announce a “wait and see” attitude, arguing that the future evolution of the current account deficit is not yet clear. Now, to justify its upgrade S&P presents two arguments: rebalancing the economy and progress in the settlement of the decades-old Kurdish issue. Are these arguments convincing? I do not think so. Let's start with the first one. S&P says that “the Turkish economy appears to be slowly rebalancing without undermining its relatively strong fiscal performance.” I agree with the “strong fiscal performance,” which is not indeed a novelty, but not with the “slowly rebalancing.” In fact, the rebalancing process, as defined above, seems to be coming to an end, if it is not already the case. Since it became clear that the growth rate decreased well below 4 percent -- the rate forecast in the Medium-term Economic Program (OVP) because of stagnating domestic demand, the central bank decided to give a push to it, easing its overall monetary policy. So, a majority of economists, of whom I am a part, expect a revival in domestic demand, but rather a weak export performance given weak global demand, particularly in the European market, which is still the main destination for Turkish goods. In this context a reversal in the rebalancing process would not be a surprise. The growth rate will probably rise, but we will witness a smoothly increasing current account deficit. I do not think that its financing will be problematic, at least this year, but do not forget that private sector debt denominated in hard currencies are dangerously increasing. Given the high risk of a reversal in the rebalancing, I believe this was not the right time to upgrade Turkey's rating, particularly for a rating agency that had adopted a “wait and see” attitude. So, what about the peace process, as we call it? If the so-called “low intensity war” is terminated and Turkish democracy is improved along with it, as is naturally expected, the Turkish economy will be positively affected for sure. However, as I argued in my column of last Saturday (“Peace dividends”) direct effects should not be exaggerated. Particularly, the impact of peace dividends would not be very helpful for the current account deficit. I believe the indirect impact would probably be much more important than the direct one: Once the bloody Kurdish issue is transformed into a peaceful democratic issue, the government will be able to address with more courage and with more energy the difficult structural economic problems Turkey is facing. This said, I think, S&P acted rather like an eager beaver. We do no know yet when the peace process will be completed, or even if it will ever be completed. So, what did S&P's too cautious management have in mind by making such a decision? It might be that they wanted to send a warm message to the Turkish government -- recalling the harsh criticism expressed by several Turkish ministers when S&P had refused to follow Fitch in upgrading Turkey's rating. 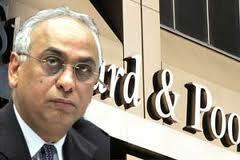 The reaction of Zafer Çağlayan, minister of economy, to S&P's upgrade has to be underlined in particular. He said: “Israel offered an apology, as you know. I also see this [upgrade] as an apology from Standard & Poor's to Turkey. This is a belated apology.” The apology may be beneficial, but it is not sufficient to impress investors. S&P's upgrade had, for example very limited impact on Treasury bond interest rates. The benchmark two-year bond yield fell to 6.38 percent from 6.41 percent. Now the question is, how S&P will behave if the current account deficit starts to increase and the peace process becomes a long process?